Routines… Are they worth it? To do the same thing, over and over and over again. Boring, right? Right. Definitely BORING! I gotta say though, routines may be boring as heck, but so so SO good for my sanity. Yep. It’s true! Hear me out. We’re moms, right? Or housewives? Or even men who have stumbled upon this blog? We NEED to clean up after ourselves. We can’t just leave dirty dishes, trash, clothes laying around forever, can we? No. We can’t. Unfortunately we’re not Mrs. Weasley with our magic wands. I wish! For me, the biggest, most important routine ever is my Before Bed Routine. Yes. Not my Morning Routine. My Night Routine. Lets just say, if you don’t do your Night Routine, then you’ve already ruined your morning. How the heck are you supposed to feel motivated and ready to tackle the day if your sink is full and trash is overflowing? If you step on another toy left on the floor? That will put anyone in a horrible mood! But I promise, if you take 30 or so minutes of your night before you go to bed to just do this routine, it will help with your sanity, your mood, your everything! You will be more at peace, more patient with your family, and more proud because of what you accomplished. We got this, guys! We got this! 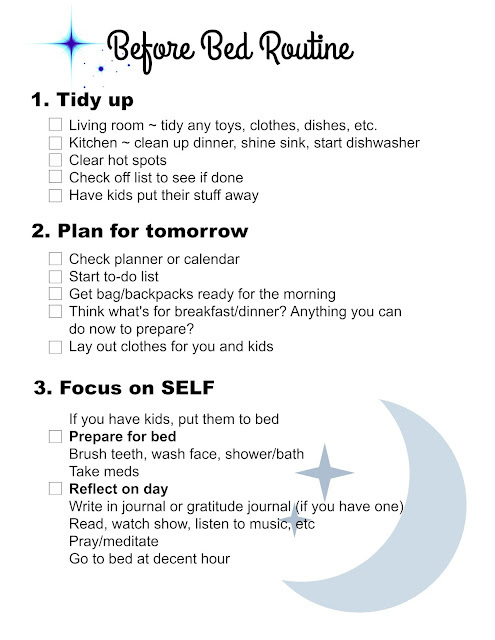 So I shared my free printable of my Morning Routine, which you can find here, and of course I wanted to share my Night Routine as well! 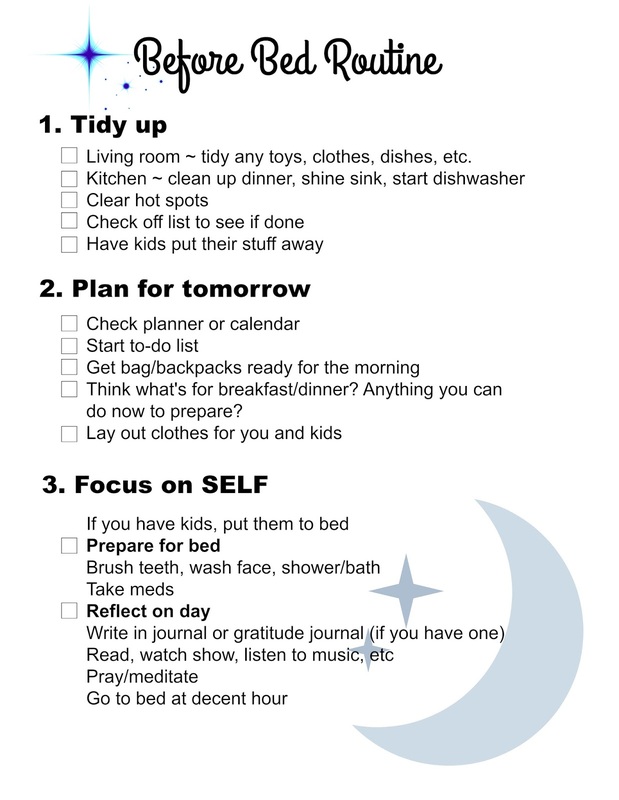 Before Bed Routine FREE PRINTABLE! So there you have it! To have a more relaxing, enjoyable start to your day, all you have to do is this. I always hear that if you want to make something a habit, try it for 21 days and it just starts to become natural. It works! I promise!